Years of navigating white water kayaks and SUPs through technical waters in summer runoff have tuned basic awareness in to controlling a craft at an exceptional level. 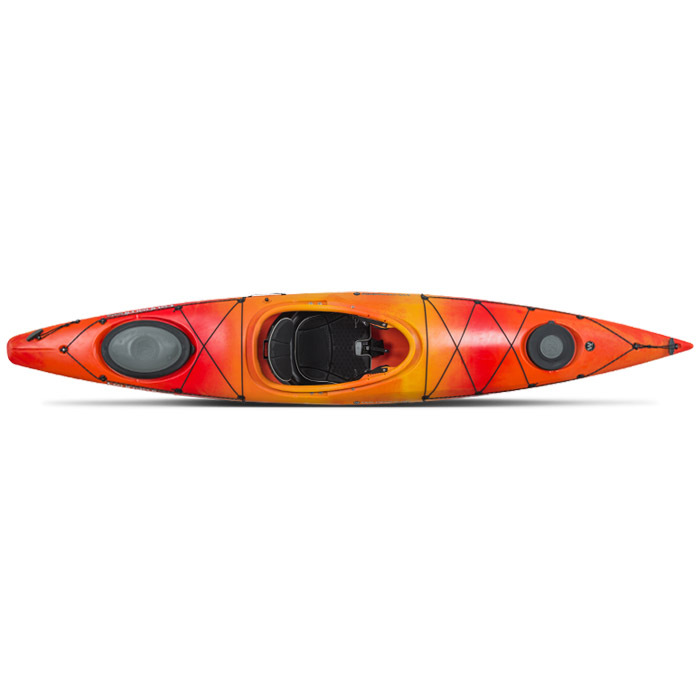 Wilderness Systems Tsunami 125 Kayak $996.55 - $1,007.04 For any new craft, efforts are immediately funneled into creating a relationship with its technical features. Active Junky tester experience with the Tsunami 125 in the Sam Houston Wilderness area was no different. Our time with this touring kayak was spent on an overnight paddling mission down the West Fork Jacinto River that transitions into the waters of Lake Conroe. The waters encountered included a slowly flowing river, glassy open lake, tight and winding matrix of shoreline waterway channels and light downwind conditions. This rudderless, 12’6” rotomolded touring kayak is labeled as a great craft for larger paddlers. As a 6’ and 190lb male, the Tsunami worked incredibly for this paddling venue. For each stroke, the kayak held a substantial amount of glide. It was a pleasure and comfort to paddle with its seat adjustments and foot placement, with only a Philips-head screwdriver needed for adjustments. As explorations led into the web of intertwining waterways, the agile nature of the kayak came into play. With a little lean and a few properly placed strokes, the kayak maneuvered particularly well. While these specific paddling strokes might be slightly more difficult for a novice paddler, they are still attainable given the maneuverability of this boat. Overnight camping gave us the opportunity to load up the bow and stern hatches. The stern, being the larger of the two, has ample room for a compact tent, sleeping bag and small gear assortment, while testers reserved the bow for food and electronics. This Tsunami kayak is also equipped for storage behind the seat and between the legs. This is a versatile kayak with the ability to perform extremely well in a variety of paddling venues. The tracking allows a great deal of your energy to propel the boat forward rather than fighting the direction you’d like to be heading. 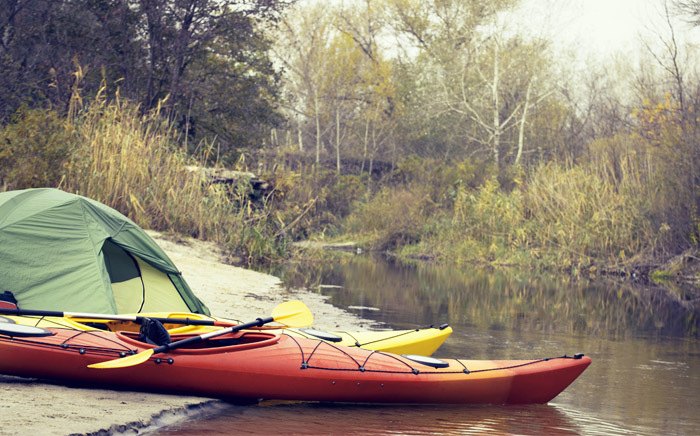 One could easily spend three to four days on a trip with the allotted space if packed properly, including multi-day adventures ranging from coastal exploration, mellow river trips (Class I-II) and flat-water excursions.